Appropriately, on the eve of Valentine’s Day, there were hundreds of astoundingly beautiful red gowns at the Heart Ball on Saturday night, February 13th. 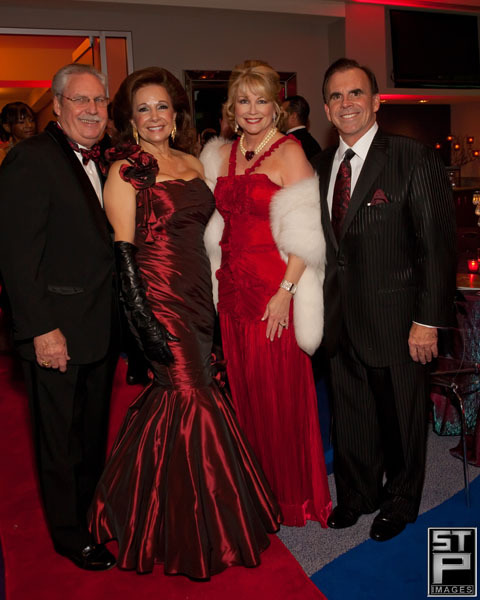 Furthering its mission of raising awareness and funds in the fight against heart disease and stroke, The Heart Ball occupied both the 24th floor Skyline Room and the second floor Grand Ballroom at the Hilton Americas Hotel in downtown Houston. The black tie affair was chaired by Debbie and Steve Letwin and was a huge success. 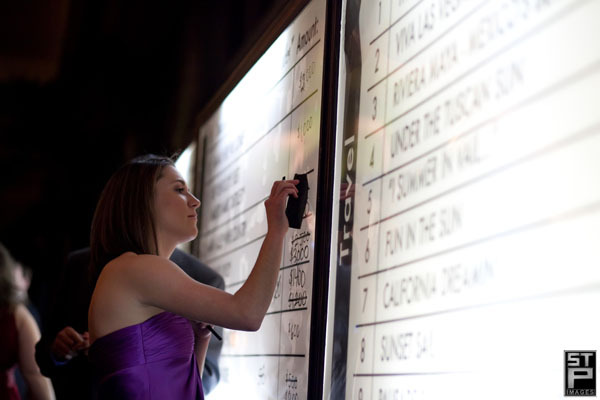 All the bidding was tracked on a big back-lit “scoreboard” – sort of a fusion between a stock ticker and an off-track betting board and added a great feel to the event. It seemed to add to the urgency of getting that winning bid in on time. A VIP party was held in the Skyline Room at 6:00pm with notable guests enjoying a relaxed cocktail hour prior to heading to the second floor for the main event. The afterparty, dubbed “The Beat Goes On” was sponsored by the Young at Heart group of the American Heart Association. Chaired by Brittany and Travis Cassin with Laura and Ryan Zehl, the event was also held on the 24th floor. With a stunning downtown view in the Skyline Room, the revelers capped off a great night till the wee hours. STP Images was there to photograph the entire evening. A few of the images from the night are posted below. Let STP Images know about your next event. TO SEE ALL THE IMAGES FROM THIS EVENT, OR TO PURCHASE PHOTOS OR JPG FILES, CLICK HERE.